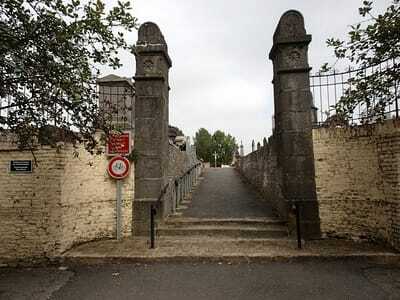 Solesmes is a town some 18 kilometres east of Cambrai, or 9 kilometres north-west of Le Cateau. 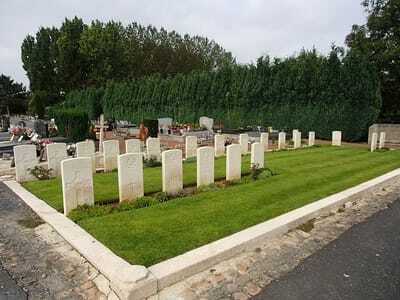 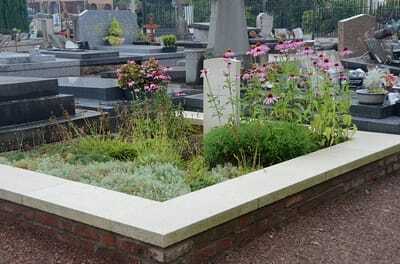 The Communal Cemetery is on the eastern outskirts of the town, beside the road (D43) to Ovillers. The 2nd South Lancashires and the 1st Wiltshires were attacked at Solesmes on the evening of 25 August 1914 and on 19-21 October 1918, the 62nd (West Riding) Division, followed by the 61st (South Midland) Division, captured and cleared the town after severe fighting in the streets. 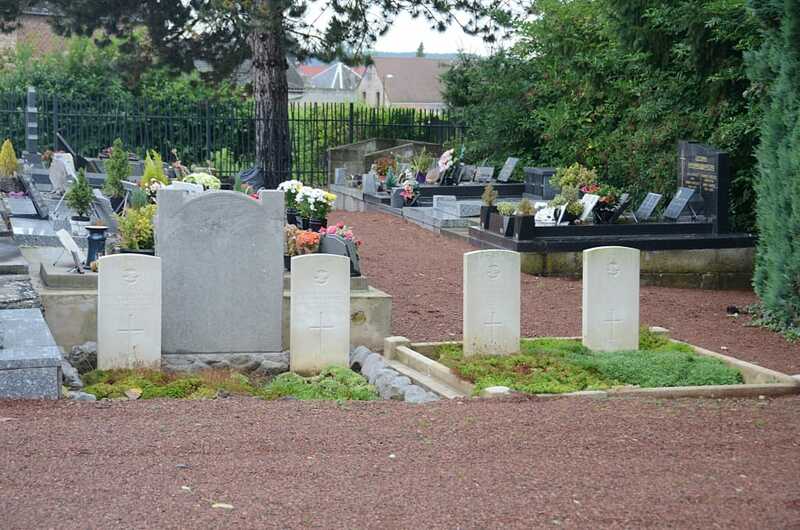 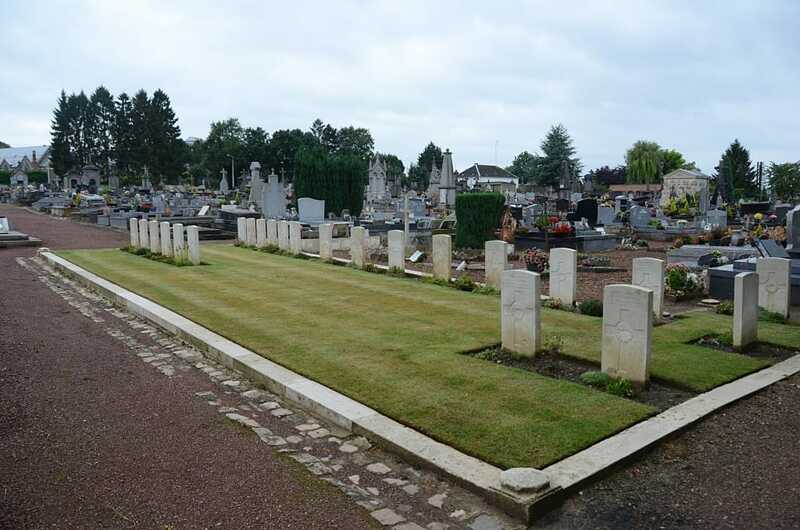 The north-west corner of Solesmes Communal Cemetery was used by the Germans who buried Commonwealth soldiers and airmen who died in August 1914, May 1917 or October 1918. Rows A and B, in the north-east corner, were made by Commonwealth troops in October and November 1918. The cemetery contains 30 Commonwealth burials of the First World War, five of which are unidentified.